This replenishing and hydrating natural Pomegranate Lip Balm from Burt’s Bees is infused with the antioxidant goodness of pomegranate oil which is renowned for its protecting properties. Replenish moisture and restore texture to reveal smooth, healthy lips. 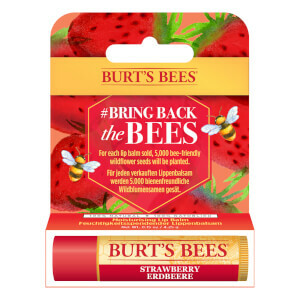 Burt’s Bees Pomegranate Lip Balm comes in a handy tube that you can keep with you at all times to ensure that your lips are always protected from the harsh environmental aggressors, as well as looking truly kissable all day and night long. Coat your pout in this pink enriching balm for a smooth and even-toned appearance. I love this lip balm. It works great and smells great too. Lips feel smooth and moisturized. I gave this lip blam tube to my friend as a present.She loves it! I bought it because it claimed as 100 nature however I found it was made almost two years ago. It seems too dry. Good consistence, perfect to use in winter time, nice smell. Love this mark, buying already 4 or 5th product and still like it. 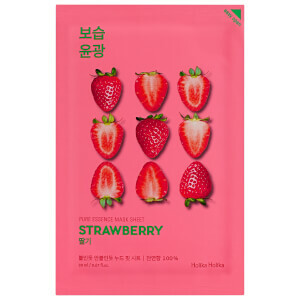 Great product, I start liking it more and more. Smells fresh, gives a nice tone. No glitter, not sticky. 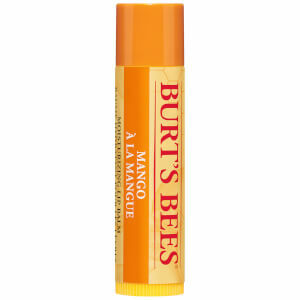 I love Burt's bees lipbalms, I have them in a number of "flavors" and they're among the best I've ever had, long-lasting and very soothing on the lips. I love Burt's Bees. I like the smell of this balm and it leaves a barely there pink sheen on the lips. It certainly protects my lips in this cold weather. It applies nicely with no sticky or gloopy feel. I pop it on before my lipstick and then put it in my handbag. Great price too. This is impossible to find in Norway atm, so my lips are SOOOOO dry now (im empty..boohoo..)This is the ONLY balm that actually make my lips soft and NOT sore! Ive tried seriously everything!! Best buy!! 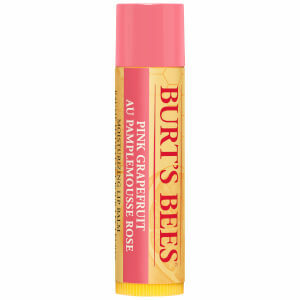 This Burt's Bees Pomegranate Lip Balm Tube didn't seem to help my dry lips.